Immortalised in the name of one of our famous ales, 1845 is a year that will forever be Fuller’s. 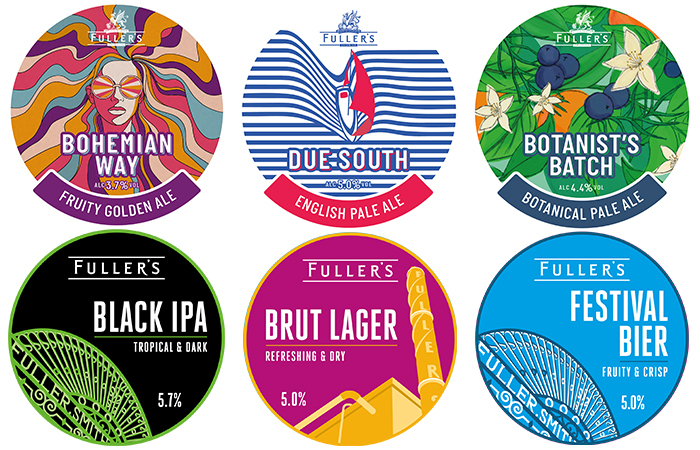 It was then that the partnership papers of Fuller, Smith & Turner were officially signed, marking the start of something very special for London’s brewery scene. However, the Fuller’s story had been brewing long before then. Beer has been made in this part of the capital for more than 350 years, dating back to the era of Oliver Cromwell. Back then, it was quite common for large households to brew their own beer. In the late 1600s, one such private brewhouse was in the gardens of Bedford House on Chiswick Mall. Another, a far humbler concern, was operating nearby at the cottage of Thomas Urlin. When Urlin died, the property passed to his widow and son-in-law, a gentleman named Thomas Mawson, who stepped in to take up the reigns as manager. It was he who laid the foundations for a major brewing enterprise – buying The George public house and two adjoining cottages for £70, then later snapping up the brewhouse on Bedford House too. Thomas Mawson is still honoured today through the Mawson Arms, the pub located on the brewery site. The next notable owners of the brewery were John Thompson and David Roberts, whose six-year partnership suffered due to a series of legal wranglings. The duo predictably parted company in 1786 when Roberts left to join the Royal Household and Thompson soldiered on alone. Eventually, the brewery passed to his sons, Douglas and Henry. It was under their stewardship in 1816 that the brewery first acquired the Griffin name and emblem. The Griffin had previously been the symbol of Meux and Reid’s Brewery in the aptly-named Liquorpond Street, but when that business collapsed, the Thompson brothers moved swiftly to snaffle the name. The adoption of the Griffin is a decision that’s certainly stood the test of time, but other decisions by the pair were far less successful. Double dealings pertaining to mortgages led the brothers – and the brewery – to the brink of ruin. They needed investment, and fast. 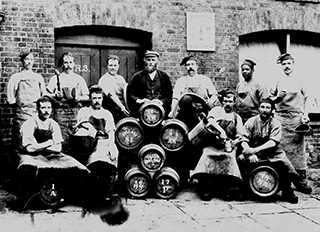 The Thompson brothers invited Philip Wood, brother of London’s Lord Mayor, into the partnership, but Wood knew his money alone couldn’t save the brewery. He too looked elsewhere for help. It came from one John Fuller. Fuller was a wealthy country gentleman and he jumped at the chance to come aboard, investing primarily on behalf of his son. He soon bought one of the Thompsons out and, within a couple of years, found himself the majority shareholder at the brewery. In 1839, John Fuller died and passed control to his son, John Bird Fuller. The younger Fuller moved quickly to make his mark, and by 1845 he’d severed ties with the Thompsons to take the reins by himself. He sought investment and expertise from third parties though, and John Smith – already helping to run a successful brewery elsewhere – was invited aboard. He invested on behalf of his son, Henry Smith, and his son-in-law, John Turner. So it was that Fuller, Smith & Turner came into being. Smith and Turner brought with them a welcome bonus: an extensive list of private customers for whom the brewery went on to make a special kind of beer. It was known as HK (hopped and keepable) and a milder version went into production too. Until that point, the brewery had brewed only ‘ale’ and ‘hock’. Even porter, which had been popular since the mid-1700s, wasn’t adopted at Griffin Brewery until the 1840s. 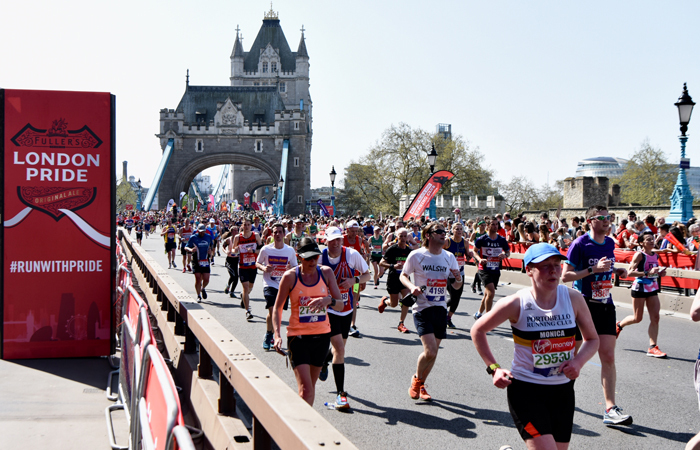 Slow on the uptake perhaps – but we like to think we’ve made up for it since. Indeed since that date, the Griffin Brewery has gone from strength to strength. In 1929, exactly 100 years after the first Fuller had come to Chiswick, Fuller, Smith & Turner became a limited company. Following incorporation, a wave of acclaimed ales came out of the brewery. Chiswick Bitter arrived on the scene in 1930. Into the ‘50s, London Pride took centre stage. Then, in 1971, ESB was launched. Awards started flowing as freely as the beer and we soon became the first brewery to win the CAMRA Champion Beer of Britain award with three separate brews. Of course, those three famous ales are still right at the heart of the brewery today and, just as importantly, so are the three families that transformed the company’s fortunes in 1845. That’s far from the end of the story though, as we continue to invest and to innovate, building on our history and heritage to set new benchmarks for brewing and retailing. We have a great amount of Pride in our rich history - but there’s plenty in our future too.